As an Australian Jew of Polish parents, my childhood memories are filled with narratives of the events surrounding my late parents’ traumatic escape from the Holocaust that engulfed many members of their families. They had lived in Lodz, Poland, until September 1939, when in the face of the Nazi invasion they had fled to the east, and then north to Lithuania to avoid the Soviet invasion. I had visited Lodz once before, during the martial law year of 1983. At that time I had been taken by a friend to the grave of my grandfather in the Jewish cemetery; it was a wartime marvel, a slab of concrete with his name and that of my grandmother (“tragically murdered”) somehow cared for through forty years of various occupations. I returned to Lodz with my partner Mara Moustafine in the icy Spring of 2003, but I was not able to find the grave where I thought it should be. The cemetery was under many centimetres of new snow and my memory could not discern where the grave should have been, even if it had not crumbled in the twenty years of Communist and post-Communist neglect. A few days later we stood on a platform in Koluszki, a railway junction – staring at the graffiti blasted across the waiting shelter wall : “Zydy do gazu” – “Jews to the Gas”. Whatever serendipity had brought us there (we had just missed the train to Piotrkow Trybunalski my grandfather’s birthplace), the words and their accompaniment of swastikas, Jewish stars, nooses and football team logos, made a startling montage in front of us. We wandered into Koluszki, tried to work out whether the names on the local war memorial contained any of Koluszki’s 1939 Jewish community, and finally headed back to Lodz. I resolved then to explore how memories of the times before might influence how we talk today about “the still open wound” (Polonsky and Michlic 2003:chap.1) of Poles’ relations with their Jewish brethren. My parents’ voyage demonstrated to me the ways in which identities can change, and that elements of complex life histories can sometimes be foregrounded, and at other times suppressed, often at the whim of external powers. They saw themselves as Poles of the Jewish faith – middle class, urban, tertiary educated, and part of Polish modernity. Even though the numerus clausus limitations on Jewish entry into universities had driven my mother’s sister to study in Belgium, and my father had studied in his mother’s hometown of Vienna, and my mother had experienced the antagonism of Polish nationalists while attending the University of Warsaw, their identity remained fully Polish. Yet the advent of war forced them to flee, my mother recognising that it was their Jewishness that would expose them to danger. In Lithuania they were protected as Poles under identity documents issued by the British consulate on behalf of the Polish government in exile. They escaped from Lithuania to Japan through Russia on visas only issued to refugee Jews by the Japanese consul Sugihara (Levine 1996); yet they were allowed to leave the USSR because they were Poles, and thus at the time notionally not citizens of the USSR (as all Lithuanians had recently become under force). When they lived in Shanghai it was as Poles on papers provided by the Polish Resident’s Association, while they are named in Polish government documents of the day as both Polish citizens and Jews (even though Poland no longer existed). When the Japanese interned them in 1943, it was as stateless refugees – denying them the status many had sought as enemy civilians. When they entered Australia they were once more Polish citizens, though they had managed to get visas because they were Jewish refugees. While their personal identities were unchanged, their survival rested serendipitously on what particular constellation of parameters of their lives were salient for the administering power. In 1939 there were a number of alternative visions of Jewish futures alive in the culture of Jewish Poland (Shapiro 1993). 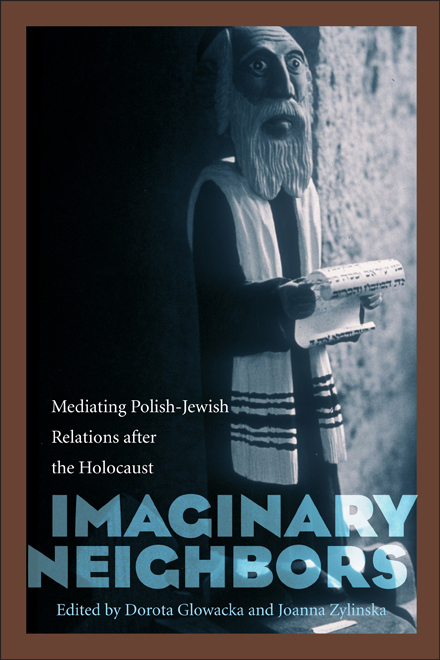 This chapter examines what happened to these visions in the wake of the Holocaust, as expressed in the writing and reflections of three former Lodz residents writers who migrated to Australia after the War, and a Polish historian who is attempting to hold onto and resurrect the Polish memory of Jewish Lodz. I have chosen Jews whose work is differentiated by their orientation to Poland and Israel, ranging from a secular Polish patriot, to a Bundist, to a committed Zionist activist. Lodz in 1939 was a metropolis of 900,000 established as an industrial centre for the textile trade. The Tsarist government after 1864 opened up opportunities for immigration, and the city became a Mecca for Jews from the Alsace, from Wielkopolska, and from other parts of both the Russian and Austro-Hungarian Empires. A recent Polish history of the Jewish population describes Lodz as a thriving city of Jews, Poles and Germans, with the largest Jewish cemetery in Europe, built by the industrial magnate prince Poznanski (Dylewski 2002). The Poznanski palace, factory and workers’ tenements still stand as symbols of an economic, social and cultural order, in which political power in the city was shared among the three major groups. The Jewish community reflected the many tendencies – religious and political – that existed in Poland. The Kehillah was run by Chassidic Jews in the organization Agudas Israel, from nearby Alexandrow with a somewhat illicit legitimacy derived from a deal with the Polish nationalists. Their political organising skills outflanked the Left and Right Zionists, and the Bundists who also participated in the City Council (Baranowski 1999) (Shapiro 1993). Following the Nazi invasion of September 1939, the Baluty market area in the north of the town – the Jewish working class quarter- was defined as a ghetto. Forced removals into the area began in November 1939, and the ghetto wall was sealed in May 1940. The so-called Litzmannstadt Ghetto was an industrial concentration camp, producing goods for many German firms. Anyone who could not work was selected for transportation to the death camps, though some people left as ‘volunteers’ for slave labour elsewhere. The last remnants of the ghetto residents were transported to the death camps in August 1944 (Adelson and Lapides 1998). The interviews discussed here, two of which are with survivors of the Ghetto, were undertaken in 2003, triggered by the debate about the massacre of Jews by Poles in Jedwabne, Eastern Poland in July 1941 (Gross 2002; Rossino 2003) (Polonsky and Michlic 2003). This debate has drawn out passionately opposing views, with the hindsight of the Holocaust and its aftermath, and a continuing re-assessment of the impact of the Soviet occupation of eastern Poland on Polish-Jewish interactions. Jedwabne is a small town in eastern Poland that was initially occupied by the Germans in 1939, then handed back to the Soviets under the Molotov/Ribbentrop pact that divided Poland between the Nazis and Soviets, then reinvested by the Nazis in mid 1941. It was retaken by the Soviets in 1944. In July 1941, after the Soviet retreat from the Nazi Operation Barbarossa, Gross in his study ‘Neighbors’ concluded that almost the whole Jewish population of Jedwabne was murdered by its Polish neighbours. His conclusions are controversial – confirming in the eyes of some (often Jews) the irremediable anti-Semitism of Poles, while providing others (often Polish nationalists and Catholics) with evidence for the irremediable anti-Polish attitudes of Jews. Lodz has sought to recover some of its Jewish history. Marek Szukalak, a Polish publisher, has taken on the task of rebuilding the city’s knowledge of its Jews, through the development of a website devoted to recording its members, events, buildings and rituals. He argues that the loss of memory has to be overcome, so that a peace can be made with the past, and a realisation embedded that the future cannot allow these patterns ever to be replicated. He proposes that no society can progress if it hides its own past from itself, and denies both the achievements and horrors that happened there. It is this motivation that drives his involvement in organizations such as the Foundation Monumentum Iudaicum Lodzenze (http://www.lodzjews.org). My interview with Szukalak took place the day after our exposure to the Koluszki graffiti – and I asked him what it represented. He said that anti-Semitism was part of Polish society, particularly the ultra-nationalist skinheads, who were the followers of soccer teams and demonstrated many of the same tendencies that attracted some young British men to the National Front, and some French to Le Pen. The question was not, he said, what does the graffiti show, but rather will the authorities act to remove it, and if so, how quickly? That afternoon we walked near the Poznanski palace, photographing the graffiti of the LKS (Lodz Sporting Club – the local soccer team) with a Star of David in a noose where it had been sprayed on the side of Poznanski’s tenements. Across the road the Palace held an art display, and materials about the lives of great Jewish artists of Lodz – Artur Rubinstein, the pianist (his house is also a museum), a replica of writer Julian Tuwim’s study, a collection of Jerzy Kosinski’s memorabilia, and other pieces. In the basement there is a small corner recalling the Lodz Ghetto, and the name of Mordechai Chaim Rumkowski, der Alteteste der Juden as he was named by the Nazis. Outside again, and in the main street Piotrowska, a bronze statue of Rubinstein plays a grand piano on the sidewalk, while a park across the way has a memorial to Tuwim (who now also has a street named after him). One part of the sidewalk is embedded with brass stars – including one in the name of Roman Polanski, another Lodz boy. So we cannot say that Lodz is without a Jewish memory – and indeed the battle for recovery of Jewish property allowed the Jewish community to reclaim a building on Pomorska street for its headquarters. The New Cemetery has received international funds for its restoration (including the marking of the 40,000 remains in the Ghetto Field) while memorial plaques from descendants line the main wall. There is an awareness of the city’s multicultural history – such as in the continuing attempts to sustain the festival of four cultures (Festiwal Dialogu Czterych Kultur Lodz 2002) advertised in Polish, Russian, German and Hebrew (not Yiddish). While these attempts to bridge the divide embedded in the bloody history of the country reflect a desire by more progressive groups to address the past, one of the other characteristics of contemporary Poland has been the rise of extreme right wing political groups such as National Revival of Poland (NOP). Parliamentarians of right wing groups have served in the government (e.g. Krzysztof Kawecki, as the deputy minister of education responsible for sports). Their base lies in part in the expanding masculine and violent subcultures of football fanaticism. The NOP is active among football supporters, and has a strong cadre in clubs that may be apparent opponents. In Lodz this is manifest in the intense hostility between LKS and Widzew Lodz, clubs whose battles extend through the graffittied walls of the region. As an LKS supporters’ website indicates “We hate Widzew Lodz and we call them ‘Zydzew’ (means Jews).” LKS did more than hate WL – it screamed that they should be fed to the gas. So even with only a few hundred Jews left in Lodz, anti-Semitic imagery continues to be omnipresent, a taken-for-granted urban art form as widely common as the gang graffiti tags on the walls of cities in other countries. Memory then can work to remember, commemorate and celebrate; or it can work to condemn, denigrate and malign. The continuing Jedwabne debate with its polarised hostilities (all Poles are anti-Semites/ all Jews are anti-Polish communists) suggests a long path is still to be taken in reaching a calmer and more reflective analysis of the complexities of the past and their implications for the present and future. Personal memoirs of Jewish experiences during the Holocaust have become an important repository of the details of human savagery and human resilience (Biderman 1995; Hoffman 1995) (Engelking-Boni et al. 2001) and sources for systematic historical research that moves beyond the emotion-saturated rhetoric. These memoirs can take many forms – a first person narrative, poetry, short stories, plays, films, novels, and articles. They can be recounted directly by the person who had the experience, or they can be carried in the reworking of their stories by those closest to them, or through their own creative and interpretative work. I want to introduce here three Lodz Jews and their reflections on their work about the Jewish experience of Lodz: journalist and playwright Abraham Cykiert (Cykiert 1992), poet and short story writer Jacob Rosenberg (Rosenberg 2003), and translator and poet Marcel Weyland (Mickiewicz and Weyland (translator) 2004). They were chosen as artists who actively engage with the Polish question in Jewish identity (though they may not describe it in this way). Abraham Cykiert (b. 1926) , from an Orthodox religious family and a graduate of cheder and yeshivah, had been committed to Zionist ideals from his youth, much of which was spent in the Lodz Ghetto, and later in Auschwitz. In the Ghetto he was attached to the Statistics unit, which had the responsibility of providing ghetto Head of the Jews Rumkowski with the information he needed to report to his Nazi overlords. Drawing on Rumkowski’s diary, notes and other hidden records, Cykiert would later write a graphic account of Rumkowski’s Ghetto life, structured as an address by the man on the last train from Lodz to Auschwitz in 1944 on which der Alteste was a passenger. Cykiert was liberated from Buchenwald, where he was held after working as a slave labourer in Germany. From there he headed to Switzerland and the Zionist HQ in Geneva. Despite his desire to go to Palestine, he was sent to Australia. It appears that the Zionist movement feared the arrival in Australia of Polish Jewish Bundists released from incarceration in Shanghai, who could have gained control of the Yiddish pages of the Jewish newspaper. Cykiert went on to become a Zionist Yiddish writer, generating hundreds of articles, stories and other work promoting Zionism. In Australia at the time this was an extremely important role, as the established Australian Jews tended to be supportive of the British mandate in Palestine, while Bundists were arguing against a Jewish homeland. Cykiert was disenchanted with Bundism, arguing that its demand that Jews express a Polish nationalism had been shown to be a useless exercise. Over the years Cykiert became a formidable figure in the Melbourne Jewish community, arguing his cause and developing his study of Rumkowski. He was fascinated with the moral complexity that Rumkowski offered. As his character declaims near the beginning of the play, “If the Soviets had not stopped at the Vistula so that the Lodz Ghetto could be liquidated I would have been a hero for saving the last 60,000 Jews – rather than a villain for organising the transportation of so many hundred thousand more”. At the centre of the play lies an examination of the meaning of life – the clamour for life marks each horrible decision that Rumkowski is called upon to make – from the first massacre of his Council of advisers when he tries to resign, to his own extermination after so many years of holding off or responding to the Nazis. In the play the Poles barely feature, serving as an external backdrop that makes the city beyond the Ghetto a dangerous place, inhabited by beings anxious to identify Jews to the S.S., yet also containing a smattering of saints who saved Jews. This sense of the tortured moral landscape of Poland infuses Cykiert’s views today – he argues that little has changed. Yet he celebrates those Poles who took the impossible moral choices, to save Jews, and died in their shared torture, as he indicates in his discussion of a visit to Belzec in 2001 (Cykiert 2001) (Tomaszewski and Werbowski 1994). He has returned to the land of Poland a number of times – first in 1988. He told me he had returned first to the Jews, and then to see the Poles on behalf of the Jews. The first return was to mark the 45th anniversary of the Warsaw Ghetto uprising; towards the end of the Communist era, he had been invited by the Forward Yiddish newspaper. Polish TV interviewed him, but the sequence was never shown, due he says, to his acerbic criticism of Poland. The second was to answer an invitation by Centre for Jewish Studies in Krakow to speak about “The sanctity of the Human Soul in the Face of the Abyss”. ‘There were 4000 saints in Poland, those simple Polish souls who put their lives in jeopardy to save a Jewish life, for whom there are 4000 trees at Yad Vashem… not a single Polish tree has yet to be proven a fake… It was Yitzak Shamir who said that anti-Semitism is sucked with the mother’s milk, but there are other Jews of a different mind’. In Lodz, I saw a group of young boys were talking about Jews. I think they were LKS (Lodz Sporting Club football team) … and they had against Widzew (another Lodz football team) they were playing. So one was drawing on the wall a hanging noose, with a Star of David. I started speaking to him… his question was ‘Where do you live?’ I live in Australia. ‘And you speak Polish?’ Yes I was born in Lodz, at Narowodice 10. ‘Have you known Jews?’ ‘What would you say if I were to say that I am a Jew?’ ‘I don’t believe you!” This is how much they know about Jews. Can you take that sort of knowledge to be a background to history? It took quite a long time for them to believe that I was Jewish. In 1990, as Polish communism was in the throes of the collapse that would transform the old soviet empire, Cykiert once more was in Warsaw. This time he accepted an invitation to visit Lublin to talk with students at a Catholic university. He travelled there by train accompanied by his host, a priest. In Poland Cykiert chooses to wear a yarmulke, signifying that he is a Jew. On this trip he pretended to have no Polish, and after a while was abused by a Pole for being a Jew. He remained silent throughout the tirade, watching a younger Polish woman castigating his abuser, while another older woman sat silently, pretending not to notice, not wishing to be involved. For Cykiert the trip became a story that drew in stark simplicity the triangle between Jew, good Pole, and anti-Semitic Pole. Cykiert’s long involvement as a Zionist has focussed his attention on Jewish culture and morality – for him the Bundist concern with a secular Yiddish nation within Poland was always problematic, and an ideology to be opposed. His migration to Australia in 1947 to edit a Yiddish paper and ensure it was ‘rescued’ from Bundists set the tone for his longer-term orientation to Jewish homeland nationalism. For him the Poles were people from a past with whom no peace was necessary or possible. Jacob Rosenberg sees himself as a Bundist even today – though one for whom the old struggles with the Zionists have outlived their purpose. He reflects that Israel clearly has not and may not resolve the problems of the Jewish people, but that the more important moral issues have to be addressed within the culture – ‘Jews didn’t build museums or monuments, we built literature and books’. He writes mainly in Yiddish, though more recently he has begun writing in English as well. His sister was a Communist who insisted on speaking Polish at home. He was schooled in a Bundist school, where Yiddish was the language of instruction. Bundism was a way of life, an ethno-political culture expressing the struggle of an oppressed community to make a place for itself within Poland, but separate from Poland. Prior to the invasion there was a tremendous brotherhood between the Poles and the Jews. We never experienced such tremendous unity; we dug trenches; you know Chassidic Jews with ‘peyot’ and shovels on their shoulders marched in the morning with songs to defend Poland. Two days later the Poles made a pogrom in Lodz when the Germans marched in. The sense of betrayal was strongest among the more secular and progressive political Jews, because we felt a very strong brotherhood. We felt we belonged to one sort – it was our cause. And all of a sudden they turned against us. To the Chassidic Jews it didn’t matter so much because they knew – this was their attitude. A Goy is a goy, but not to us… not to my father and not to me. By May 1940 the ghetto wall was closed. For him, Rumkowski was a ‘bobbe-myseh’ (a story of no value), ‘not worth a cracker’. Rosenberg stayed in the ghetto until August 1944 – when he was transported to Birkenau. He was liberated by the Americans, two of whom entered the camp and asked in Polish whether there were Jews there – they were from New York and spoke Yiddish. Rosenberg never went back to Poland – he married in a camp in Italy and came to Australia soon after – he would never go back. ‘Even my childhood that lives on in my dreams had disappeared [in Poland]. I am not prepared to lose them. If I go back I will lose my memories and my dreams.’ Poland no longer has any meaning for him; it is though he was an exile from Spain. He can however still quote the whole of the epic poem ‘Pan Tadeusz’ by heart – while his democratic orientation owes much to the libratory narratives of Polish nationalism. He also retains his socialist commitment – for him the Passover [Pesach] is a celebration of cultural resistance against oppression. Yet as with the others, he has his vignettes that illustrate for him the continuity of the ‘dark place’ that is Jewish history for Poles. The problem of the Poles is that they haven’t come to terms with the reality that they slept with the Germans in the one bed. The Poles are out to prove the myth of the righteous gentiles. And they are using our people to do it. They are creating the lie that they want us to support…. The dialogue can only begin when the Poles say ‘we are guilty’. His wife, Esther, comments: ‘they suffered too… but the Germans wouldn’t know if I was Jewish, Yidden; the Poles pointed me out of the breadline – I could not even take a piece of bread home’. From the corner of the room in which we have been speaking, his friend, Issy, who had been there through the interview, whispers in a sad and mocking echo of the Polish louts of 1939; “ Czekaj, czekaj, [wait, wait] Hitler’s coming!’. The epic poem ‘Pan Tadeusz’ appears as an icon of Polishness in the national cultural consciousness of Poles in the inter-war period. Mickiewicz wrote it while in exile in Paris in the 1830s after one of the futile revolts against the imperial suzerainty of the three empires. It celebrates Tadeusz as nationalist hero, who fought together with Napoleon for Polish freedom. It is set at the moment that Tadeusz thought that his hopes would be realised – with the liberation of Lithuania and a French-Polish army just about to enter Russia proper and free Poland from the Tsar. The reader (and Mickiewicz) is aware of the futility of this hope. The poem evokes the exile’s passionate love for the forbidden country, and the nostalgic exploration of a fantasised golden age of freedom, democracy (under the May 3 constitution that liberated the serfs) and national self-esteem. Marcel Weyland, my mother’s half-brother, began working on the translation of the poem sometime in the 1950s, soon after a family friend brought a number of copies of the illustrated Polish edition to the refugee and émigré community in Sydney in 1952. Weyland had fled with his parents and mine from Poland in 1939. His early schooling was at the Chamber of Commerce Gymnasium (now part of the University of Lodz) where about one quarter of the class was Jewish. He describes himself as being a patriotic Polish child, living in a secular household in a fine apartment on Piotrkowska Street (in April 2003 the apartment housed the British consulate). The family was uninvolved in politics – and lived a comfortable life. They had a Polish cook, did not keep either a kosher kitchen nor observe a ritual Sabbath. There was a male attendant who took care of other household tasks. Marcel was cared for by Irma, a German governess from a Lutheran family of embroiderers. Irma herself was a Jehovah’s Witness, who took the young Marcel to the annual Witness’ picnic. At school his two best friends were Catholic, and he knew no Yiddish or Hebrew. Once a year on Yom Kippur, his father took him to the Synagogue (near Plac Wolnosci) later destroyed by the Nazis. He always described himself as a Jew – but also as a patriotic Pole. He was imbued with the dream of Pilsudski for a multi-ethnic Poland, despite his awareness that ‘Jews had a place but not a land in Poland’. His socialisation into Polish nationalism was marked by subtle but constant awareness that history can be written in many ways – Polish history taught that the Chmielnicki’s rebellion and the uprisings of the Ukrainian gentry were attacks on Poland – for the Jews they mark moments of the most intense pogroms, yet these aspects remained barely mentioned in classroom lessons. As a child he read relentlessly – especially Polish historical novels that were the staple of popular literature after the independence of Poland. These novels were a vital part of the cultural revolution of Polish nationalism, manufacturing the history and mythology yearned for by the population. With the Nazi invasion, Marcel was torn from this supportive and greatly loved environment – and thrust into years of exile and the transitory settlement of a refugee. In Vilna he attended Jewish, Polish and Russian schools – joined Jewish and then Soviet youth groups, and learned nationalist, Zionist and Soviet songs. By 1942 he was settled in Shanghai, where he attended the Shanghai Jewish School (SJS), an upper middle class academy teaching in English; he continued at SJS even when the Japanese forced the family into the restricted area of Hongkew across Soochow creek. He would then cycle out of the area on a city pass every day, crossing into Shanghai proper, and returning each evening. The family arrived in Australia in 1946. Marcel married into an Australian Irish Catholic family, and began his career as an architect. ‘Pan Tadeusz’ served a number of purposes – it sustained his links to Poland, maintained his reading of Polish and provided material for his stories to his children of their Polish heritage and culture. Over a period of fifty years he has worked on the manuscript irregularly, focussing on it more intensely in the past decade. He has read the text at least one hundred times over that period, consistently impressed by its wonderful poetry and uplifting moral, and also its criticisms of the national failings of disunity, vengefulness, and quarrelsomeness, and the gentle fun it poked at the slavish adoption of foreign fashions in thought and dress. He has returned to Poland a number of times over the past twenty years, taking his children to show them the world from which he came. In expectation, he felt very positively towards the Poles, then soaking up the history, the architecture and the countryside, feeling the sad sweetness of the loss of childhood. Yet when as he travelled in Poland he felt a change come over him – as though he were acting some sort of role. He could find his way easily around Lodz, but did so as though it came from another life. He loved the city of Krakow and the mountain town of Zakopane, yet he discovered he was ambivalent about the Poles as people. ‘I am pretending to be part of you’, he said of his feelings, ‘as though I was a foreigner who had learnt the language and can pass’. Weyland paused in his narrative and said, ‘this is a very interesting question of translation. How should it be?’ “ Jankiel loved his country just like a Pole”, or “the Good Jew loves his country like a Pole”? The subtle implications are everything here – is this a Polish claim that this was the rare Jew who loved Poland? Or a definition of the good Jew is one who imitates the assumed Polish love of country? Or that the land is equally Polish and Jewish? The 30000-odd Jews who survived in Poland are not the ones who feel like that, virtually each one of them owed his life to one or more Poles…. and I personally resisted any sweeping generalization which would have cut me off from my real roots, this would be cutting off my nose to spite my face. You could say that all this, if not consciously reasoned out, contributed to involvement with Pan Tadeusz. These three case studies and Szukalak’s memorialising, hardly exhaust the ways in which Jewish Polish identity can be recalled and expressed. However they do suggest that the Zionist pathway was not the only one available to Jews in Poland, and was in no way the majority viewpoint. There were many who wanted to be part of Poland, and to live in what they saw could become a multinational country under conditions of democracy. They wanted a socialist and egalitarian Poland in which Jews and Catholics could both be true to themselves in their religious and cultural practices, and share the space in political and social terms – not unlike the vision of those who at one time thought that a secular Israel with two peoples could be realised in Palestine. One often-unrecognised tragedy of the Holocaust was that three million Catholic Poles, many of who shared such aspirations, died along with the three million Polish Jews at the hands of the Nazis. It is as much their deaths as those of the Jews that ensured these aspirations could never be fulfilled. Adelson, Alan, and Robert Lapides, eds. 1998. Lodz Ghetto: Inside a community under siege. New York: Viking. Baranowski, Julian. 1999. The Lodz Ghetto 1940-1944 Vademecum. Lodz: Archiwum Panstwowe w Lodzi & Bilbo. Biderman, Abraham. 1995. The World of My Past. Melbourne: AHB Publications. Cykiert, Abraham. 1992. “The Emperor of the Ghetto.” Melbourne. —. 2001. “LETTER FROM POLAND: Death Camp Less Traveled: Silent Screams of Belzec.” Forward http://www.forward.com/issues/2001/01.04.20/news4.html. Dylewski, Adam. 2002. ‘Where the Tailor Was a Poet…’ Polish Jews and Their Culture: an illustrated guide. Bielsko-Biala: Wydanictwo Pascal. Engelking-Boni, Barbara, Gunnar Paulsson, and Emma (Translator) Harris, eds. 2001. Holocaust and Memory: The Experience of the Holocaust and Its Consequences: An Investigation Based on Personal Narratives. Leicester: Leicester Univ Pr. Gross, Jan. 2002. Neighbors: The Destruction of the Jewish Community in Jedwabne, Poland. N.Y.: Penguin. Hoffman, Maurie. 1995. Keep Yelling! A Survivor’s Testimony. Melbourne: Spectrum. Levine, Hillel. 1996. In Search of Sugihara: The Elusive Japanese Diplomat Who Risked His Life To Rescue 10,000 Jews from the Holocaust. New York: Free Press. Mickiewicz, Adam, and Marcel Weyland (translator). 2004. Pan Tadeusz (English translation). Sydney: M.Weyland. Polonsky, Antony, and Joanna Michlic, eds. 2003. The Neighbors Respond : The Controversy over the Jedwabne Massacre in Poland. Princeton, N.J.: Princeton University Press. Rosenberg, Jacob. 2003. Lives and Embers. Sydney: Brandl and Schlesinger. Rossino, Alexander. 2003. “Polish “Neighbors” and German Invaders: Contextualizing Anti-Jewish Violence in the Bialystok District during the Opening Weeks of Operation Barbarossa.” Polin: Studies in Polish Jewry 16. Shapiro, Robert. 1993. “Aspects of Jewish Self-Government in Lodz, 1914-1939.” Pp. 296-317 in From Shtetl to Socialism, edited by Antony Polonsky. London: Littman Library of Jewish Civilizations. Tomaszewski, Irene, and Tecia Werbowski. 1994. Zegota. Montreal: Price-Patterson Ltd.
 Interview with Marek Szukalak, 15 April 2003, Lodz. Interview with Abraham Cykiert, 28 August 2003, Melbourne. Interview with Jacob Rosenberg, 29 August 2003, Melbourne. Interview with Marcel Weyland 28 October 2003, Sydney.